“Stanley Fook Chun Lee (Lee Fook Chun) photo,” 1929, Chinese Exclusion Act case files, RG 85, National Archives-Seattle, Lee Fook Chun and Chang Suey Ping files, Seattle, Box 1119, Case 10422/2-2; 10422/2-3. 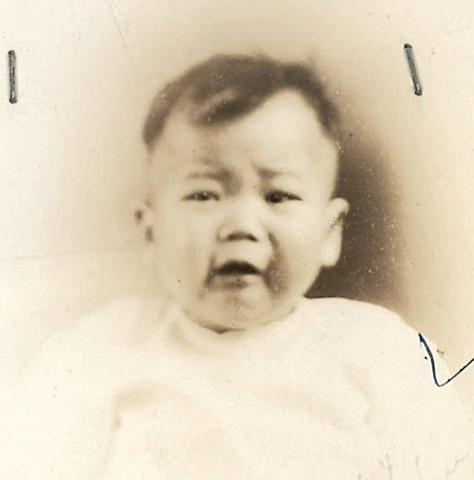 Chan Suey Ping’s infant son, (Stanley) Fook Chin Lee, was refused admission at the Port of Seattle but permitted by the Secretary of Labor to remain in the United States for six months until 7 March 1930. Chan Suey Ping was born in 1902 at Napa, California and a citizen of the United States. In 1925 she visited China and married Chiu Hang Lee, a citizen of China and of the Chinese race. Under the terms of the 1922 Cable Act, she lost her U.S. citizenship. Chiu Hang Lee came to the U.S. with a student status and she accompanied him with a “wife of student status.” In about 1927 they had twin boys, born in Berkeley, California. They went back to China in March 1928 to visit Chiu Hang Lee’s elderly mother who was ill. They left their sons with Chan Suey Ping’s mother in Napa. Chan Suey Ping was pregnant when they left and their son, Lee Fook Chin, was born in China. Chan Suey Ping, her American-born two-year-old twins, Bert Y. Kynn Lee and Allan Wy Synn Lee, and baby, Stanley Fook Chin Lee, returned to China on 6 November 1929.